"Teaching, learning and research resources that reside in the public domain or have been released under an intellectual property license that permits their free use or re-purposing by others. Open educational resources include full courses, course materials, modules, textbooks, streaming videos, tests, software, and any other tools, materials, or techniques used to support access to knowledge". Open Educational Resources are different from other resources a teacher may use in that OER have been given limited or unrestricted licensing rights. That means they have been authored or created by an individual or organization that chooses to retain few, if any, ownership rights. For some of these resources, that means you can download the resource and share it with colleagues and students. For others, it may be that you can download a resource, edit it in some way, and then re-post it as a remixed work. OER often have a Creative Commons or GNU license that state specifically how the material may be used, reused, adapted, and shared. 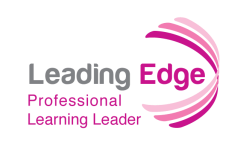 There are many collections of Open Education Resources containing a vast array of high-quality digital learning content that can be used by the Professional Learning Leader in blended/online/flipped professional learning situations. Check out these Collections of High Quality Open Education Resources. Read Building Online and Blended Learning Environments with Free, Open Resources for additional information and ideas about how to utilize OER. Those you feel to be most important? Are these things you already do on a regular basis?